F2F Country Director, Mike Chikakuda, discusses succession planting with 25 students, 12 of whom already made their own gardens at home in Phalmobe. 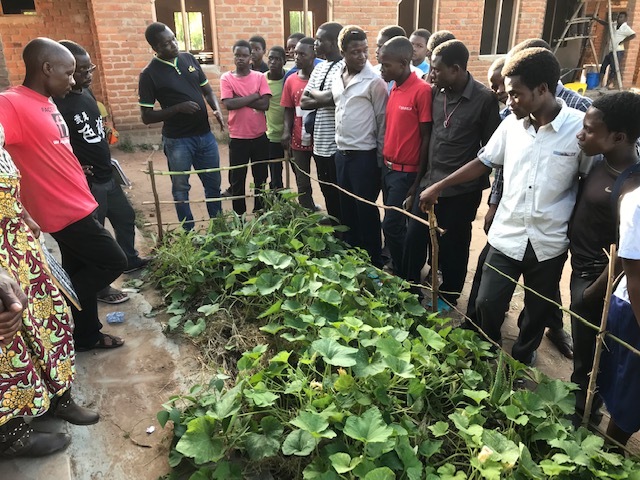 Face-to-Face teaches victory gardens to Malawi’s rural youth, who are keenly attracted to how gardens combine food security, biology, nutrition, and economics. A brighter, greener future with Malawi’s youth and victory gardens — they believe that change is possible.